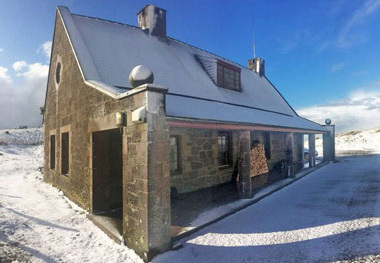 Bervie Brow Research Station is a cultural project and immersive setting in north-east Scotland, and the home of Dr Harry Willis Fleming. Set on a high coastal promontory, the Station's outlying location fuses a beautiful rural landscape with Cold War archaeology. The project is recording and preserving this former military signals station. The project also appropriates the idea of a scientific research station: a remote geographical site for living-working, investigation, temporary community, and refuge. The Station is available to friends, colleagues, and guests who have an interest in history, architecture, landscape, and nature, for research and a range of propositions. There is simple accommodation or camping available, and the site can be used for retreats and residencies, or Airbnb accomodation. The Station brings together many strands of Harry's work. 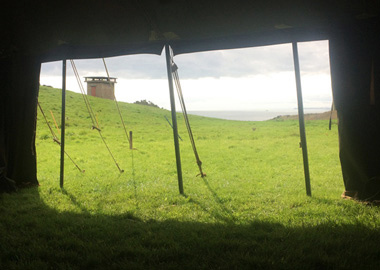 Its predecessor, the Field Tent, has been pitched in various places, most notably for a research installation with artist Jane Wildgoose in 2008. Another point of origin is an experimental arts project Station to Station (1997) that Harry produced at Aldwych Station in London in collaboration with several artists, performers, broadcasters, and technologists. A key source of inspiration are the towers built by the artist R. C. Lucas, the subject of Harry's doctoral thesis, while thinking of the work of Gaston Bachelard. 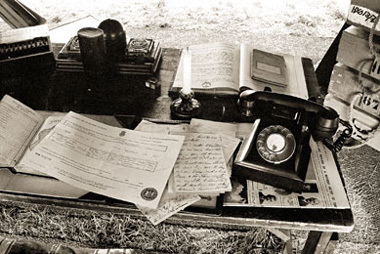 The Station also takes forward aspects of Harry's work with the Willis Fleming Historical Trust, which has included the restoration and reconstruction of a WW1 War Shrine. Copyright © 2019 Harry Willis Fleming. All rights reserved.